Talks are ongoing to bring the next-generation of Apple's iPhone to Spain and Poland. Meanwhile, a new version of the iPhone SDK has been released with minor tweaks; AppleInsider can confirm an AT&T memo issued Tuesday; and eBay has yanked an auction for an unofficial Mac clone system. France Telecom's Orange, Apple's exclusive iPhone provider and distributor in France, is "in discussions" with the handset maker to sell the next-generation iPhone in other European countries. The carrier's chief financial officer Gervais Pellissier said the company is in talks with Apple on the subject, in particular with regard to Spain and Poland "among others". In the past two weeks, carriers worldwide have announced deals (1, 2, 3) that will see the iPhone arrive later this year in Canada, Australia, the Czech Republic, Egypt, Greece, Italy, India, Portugal, New Zealand, South Africa and Turkey. Apple early Wednesday sent an email to iPhone developers informing them that the fifth beta version of the iPhone SDK is now available for download. 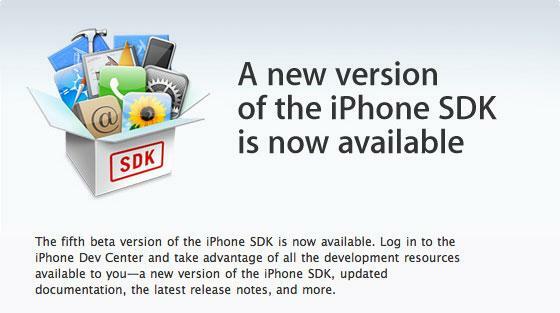 The release "fixes bugs and adds support for the latest iPhone OS," according to a brief set of release notes. In forthcoming releases of the developers kit, Apple promises to support horizontally transitioning the keyboard out on a navigation controller pop , UIViewController support of alternate landscape view, a reduction to the default font size for UITextView, and a limit on UIActionSheet titles to just two lines. AppleInsider can now definitively confirm an AT&T Mobility memo issued on Tuesday announcing vacation blackout days beginning next month, having received the message in its entirety (below). 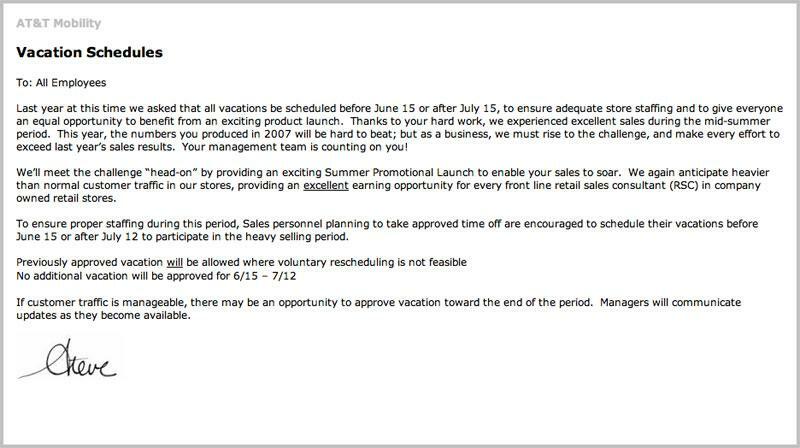 The memo asks retail staffers to schedule any upcoming vacation days prior to June 15th or after July 12, so that they may participate in an "exciting Summer Promotional Launch" around that time —presumed to be the launch of Apple's 3G iPhone. AT&T Mobility made an almost identical request last year, which boosts confidence that Apple plans to launch its next-generation handset almost one year from the date of the original iPhone —June 27th, the final Friday of the month. While Apple has been unusually silent regarding an unauthorized Mac clone on sale from Psystar Corporation, someone or something has caused eBay to take action regarding a pair ofcopycat systems that went up for sale on the auction website on Tuesday. The listing for the $549 Leopard-based system is now suddenly "unavailable."